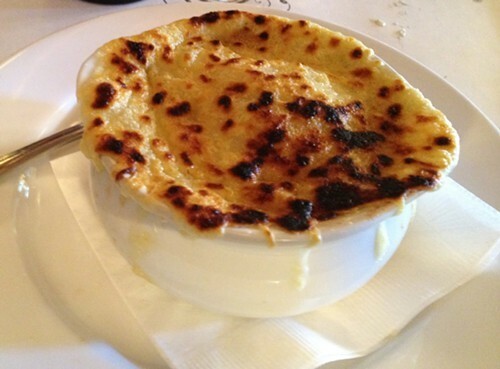 If you are looking for classic French cuisine in the Hudson Valley, you should check out Brasserie 292. Confession: I only went there once, but it was really good! 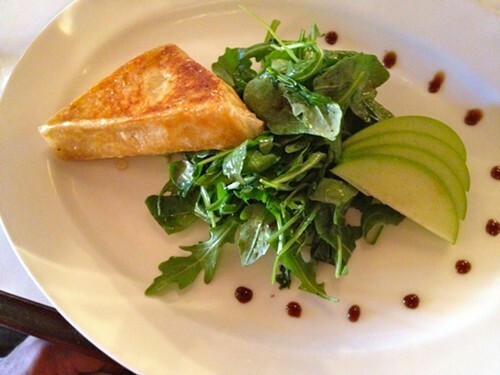 Almost two years ago, in late June 2011, Chris Crocco, co-owner of Brasserie 292 invited me to sample the menu of French cuisine offerings and check out the new restaurant in Poughkeepsie. For the appetizer I ordered the soup a l'ognion, and my husband ordered the warm Camembert wrapped in phyllo. After taking the first bite, he said, "I just went to France!" So I had to try it, and it was very gooey and good. I know what he meant. (Later found out that the Camembert is none other than Old Chatham Sheepherding Company Cheese made here in the Hudson Valley!) For my entree, I had the tuna nicoise. It is served rare, but I asked for it medium and it was perfect. 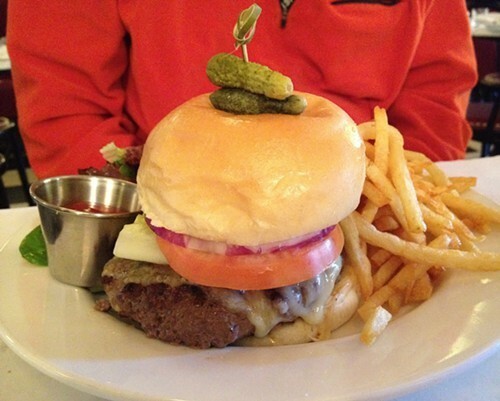 My husband ordered the Bistro Burger with Gruyere cheese. Our handsome server Anthony tolerated my husband and I arguing over whether he resembled a young Robert Duvall or young Rudy Guliani. He also answered exhausting questions from the high-maintenance food know-it-all at the table next to us with total grace—not one smirk! (This foodie nerd wanted to know the exact size and species of the lobster on the menu.) The service was excellent. Thanks Anthony! It's a beautiful space. Their private event room can seat 20 people and their dining room can seat 80. They haven't hosted a wedding there yet, but I can imagine it would be a great setting for a rehearsal dinner or a small intimate wedding party. It is also a great place for a business lunch. Visit Vanessa Ahern's blog, Hudson Valley Good Stuff for where to eat, play & recharge your spirit in the Hudson Valley.